Want To Know If Your Property Contains Asbestos? We will undertake a fully documented survey of your building using a tablet based data collection system that drastically reduces the time it traditionally takes to complete a full, end-to-end, asbestos survey. The Cambridge Management Ltd surveyor works through a structured, systematic process to collect the data, and the client’s final report is auto built as the survey progresses. Using this system, we can confidently say that we have more than halved the time it takes to complete a full asbestos survey, reducing the duration down to 3-4 days. We then create a management plan for addressing the findings, which you can easily share with the people who enter, manage or work on the building structure, and assist you in dealing with any issues highlighted in the report. Clients benefit from a much quicker turnaround time, which is of particular value to those with high volume survey needs. Need the security of knowing your property is asbestos free? With over 6 years experience, we are on hand to provide you with a comprehensive asbestos survey. 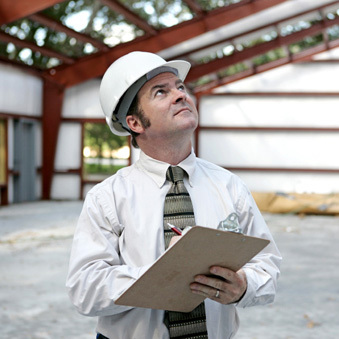 Consultants surveys adhere to HSG 264 (a guide to asbestos surveying that places responsibility on both the dutyholder and the surveyor). This is the minimum survey usually carried out within a building and covers the general daily activities likely to occur within a property. This asbestos survey is a visual inspection of all accessible areas of the property and is designed to account for the general daily activities likely to occur during the normal occupation and use of premises. The Control of Asbestos Regulations 2012 stipulate that it is the responsibility of the dutyholder (the owner or ‘maintaining tenant’ of a property) to commission this survey. The survey should be undertaken by a suitably experienced and qualified asbestos surveyor, adhering to HSG 264. 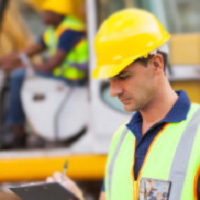 HSG 264 stipulates that the dutyholder should provide the surveyor with as much information about the site, such as site layout, site plans, a previous survey report (if applicable), site photos, or site hazards prior to the survey. The surveyor should plan the survey to reduce the number of inaccessible areas. A dutyholder who has not fulfilled their legal responsibility regarding asbestos can face prosecution by the HSE if an employee/tenant/member of the public is exposed to asbestos. 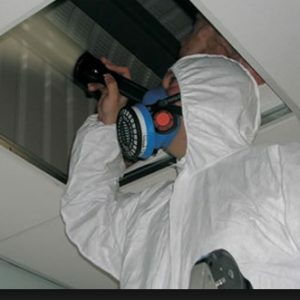 Once completed, should any asbestos be present, the Management Survey will detail the asbestos type, location, extent, condition, any surface treatment and any remedial action to be taken. You are then required to draw up a ‘management system’ to protect employees, tenants or contractors from exposure to asbestos. This type of survey is required prior to any demolition, refurbishment or ‘significant’ works to a property. ‘Significant’ could mean removing walls, doors, windows etc. or installing new equipment. A Refurbishment/Demolition Survey is required prior to any demolition or ‘significant’ works to a property. ‘Significant’ could mean removing walls, doors, windows etc. or installing new equipment and the demolition survey need not necessarily cover the whole property. It is often better to target the survey at the specific works which will be undertaken. If the property requires painting then it is unlikely you would need a more detailed survey. If you are rewiring it is likely you will need a Refurbishment/Demolition Survey. A Refurbishment/Demolition Survey is a much more intrusive survey and involves destructive inspection methods (lifting floor coverings, breaking through walls/ceilings and behind wall cladding) to gain access to all areas within the building. The area surveyed must be vacated. HSG 264 stipulates that the duty holder should provide the surveyor with as much information about the site, such as site layout, site plans, a previous survey report (if applicable), site photos, or site hazards prior to the survey. The surveyor should plan the survey to reduce the number of inaccessible areas. Once completed, should any asbestos be present, the Refurbishment/Demolition Survey will state the location, presence and extent of asbestos-containing materials and debris. The survey will also detail any remedial/removal action required. 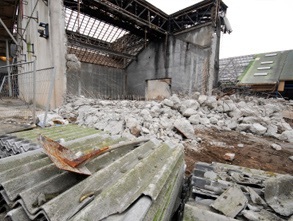 If you are unsure whether you require a Refurbishment/Demolition Survey prior to commissioning any works to a property you should consult a qualified asbestos surveyor for advice. The surveyor can assess whether the works required go beyond the scope of an existing management survey. Don’t leave it to chance… for total peace of mind, we offer a full appraisal of the requirements for you and your property.